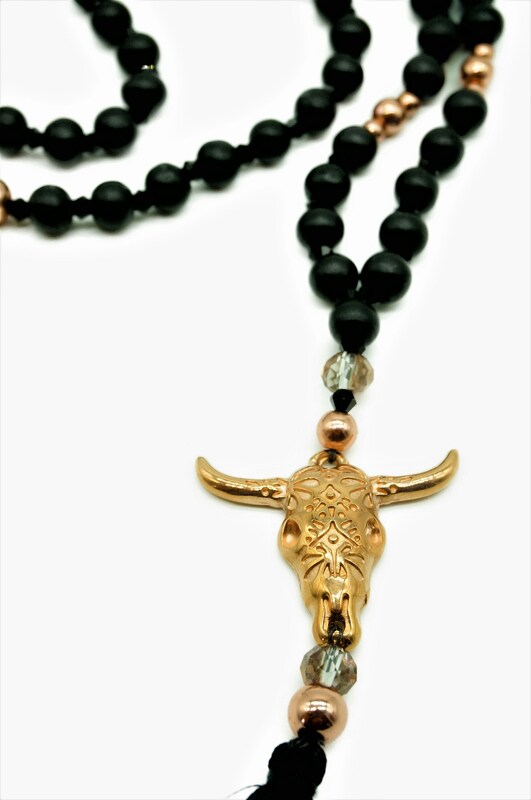 Black paint chain with rose gold buffalo skull consisting of black wooden beads, small black glass beads in the interstices as well as different sized rose rose gold hematite beads. 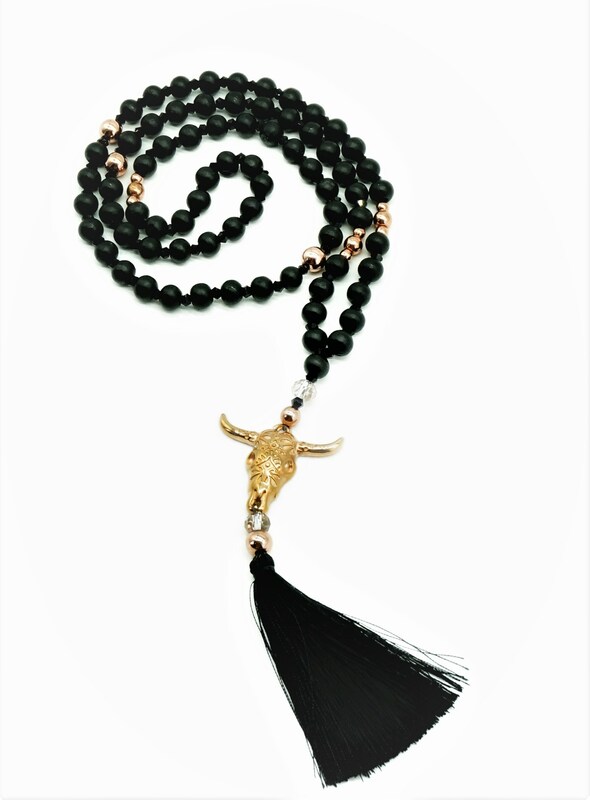 Eye-catcher is the 4 x 3 cm buffalo skull, on which there are larger pearls as well as a 7 cm long black silk tassel. 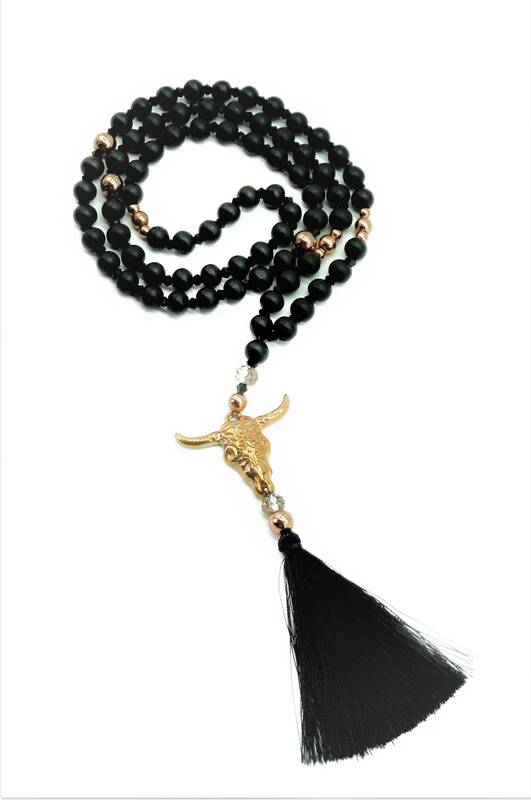 The chain is 52 cm long (simply measured including the tassel). 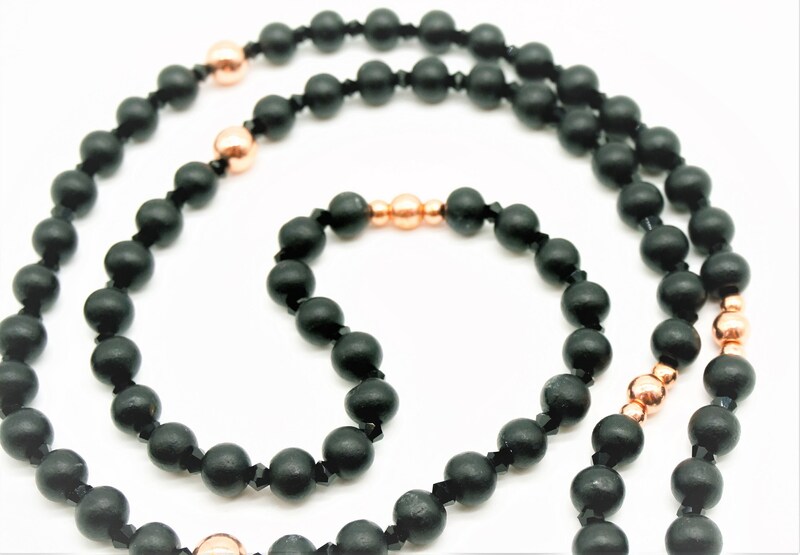 This handmade unique piece is sent packaged as a gift in the organzabeutel.